The 63-year-old had become more paranoid in the time before he took his own life, coroners have said. THE DEATH OF actor Robin Williams has officially been ruled as suicide. Williams had recently become more paranoid when he took his own life, coroners said yesterday, adding that he had no alcohol or illicit drugs in his system. No suicide note or other indication that he planned to take his own life was found at the scene, it said. The 63-year-old, known for high-energy, rapid-fire improvisation and clowning, was found dead on 11 August at his home in Marin County, north of San Francisco. The coroner for Marin County, Robert Doyle, said the investigation into his death had concluded giving the manner of death as “suicide”. “Toxicological evaluation revealed the absence of alcohol or illicit drugs. Prescription medications were detected in therapeutic concentrations,” it added in a brief statement. “His prior medical history reportedly included depression, Parkinson’s Disease and a recent increase in paranoia,” said a longer coroners’ report, which was obtained by AFP. The report included other details about Williams’ medical history, including that he had shown symptoms of Parkinson’s since 2011, including a left arm tremor and slowing of left hand movements. He was diagnosed with the disease in November 2013. “The clinical history is notable for depression, with components of paranoia, compulsiveness and anxiety,” it said. Although he had suffered from depression sporadically “for most of his adult life… he had no known history of suicidal ideation or behavior,” the report said. Williams, an Oscar-winner and veteran of movies, stand-up shows and hit television series, was one of Hollywood’s most popular entertainers and his death triggered an outpouring of emotion the world over. A few days after his death, Williams’ wife said her husband was suffering from depression and the early stages of Parkinson’s disease. Father-of-three Williams had spoken openly in the past about his battles with alcoholism and drug abuse – and often drew on them in his stand-up comedy routines. 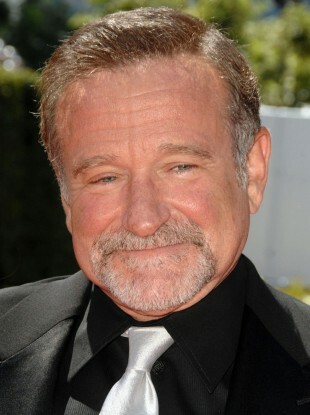 Star of hit films such as “Good Morning, Vietnam” and “Mrs Doubtfire,” Williams had last been seen alive the day before his death by his wife Susan Schneider before she went to bed. She left the house the next day assuming he was still asleep in a separate room in the home in Tiburon. Williams’ ashes were scattered in San Francisco Bay, according to media reports. “But he was one of a kind,” Obama said. - © AFP 2014 with reporting by Michelle Hennessy. Email “Robin Williams' death officially ruled a suicide”. Feedback on “Robin Williams' death officially ruled a suicide”.